Did you know that olive oil is the only food product in the world whose trade regulations include a taste and aroma evaluation? Positive attributes are defined by these regulations that regulate and require both extra virgin and virgin olive oils to hold only positive attributes with no imperative defects. In the making of a premium extra virgin olive oil (EVOO), there is an old Arabic saying that sums it all up: “From the tree to the stone.” What this means is that the sooner that the ripened olive tree fruit is harvested and processed at the mill, the richer and more aromatic taste the oil will hold. In most countries, the “tree to stone” olive oil process can take several weeks and many times months, which oftentimes produce a much less desirable and inferior quality olive oil—far below that of the high-quality standards of EVOO. Considering Israel’s drive for excellence surrounding the olive oil industry, it isn’t any surprise th at the concept of “tree to the stone” is an integral part of the process in a land that exclusively produces EVOO. Israel today produces between 15,000 to 16,000 tons of exceptionally high-quality EVOO every year, with approximately 10,000 tons coming from modern oil tree orchards—more densely planted tree orchards within the last 20 years—using modern irrigation methods to produce much higher yielding crops. The volume of EVOO produced from each crop is greatly depended upon the amount of irrigation that the trees received during the growing season, as well as the actual fruit size at the time of harvest. The normal one-liter bottle will contain oil from about 1,000 individual fruits. Each year when the peak of harvest time comes to Israel, it is a race for time to get the ripened olives from the tree to the presses, and into the bottles. 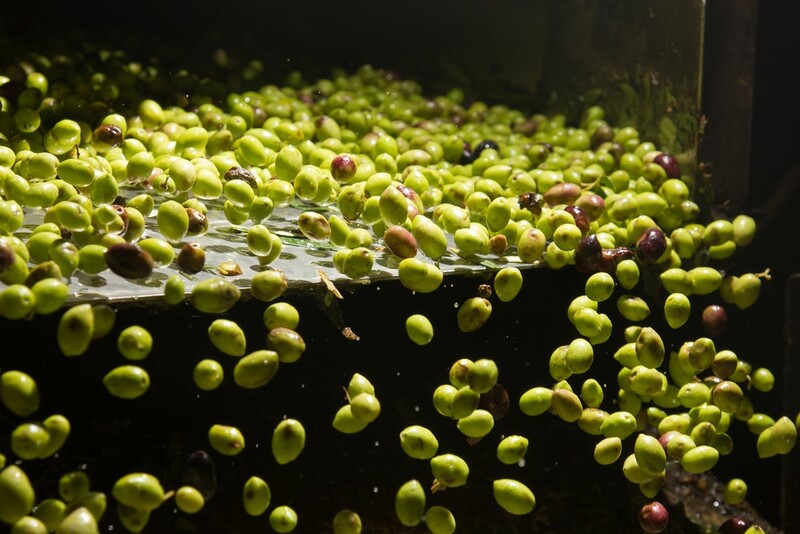 These olives are gently pressed to produce a superior quality, low acid oil that is not only prized throughout the land of Israel but the entire world. 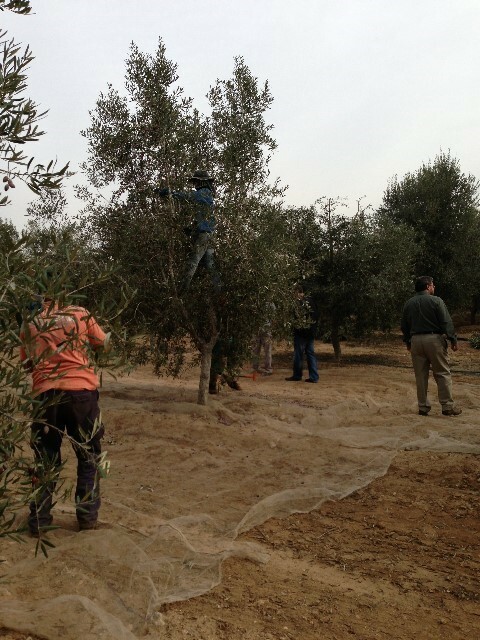 The process of obtaining EVOO from the harvested and washed fruit begins with crushing the olives. This crushing is mainly accomplished today with stainless-steel rollers… but don’t be surprised if you see the crushing process in Israel occasionally done the old-fashioned way—with huge stone presses! The olive mass is then normally spread onto thin mats that are stacked inside of a press. Because no heat is applied during this press it is termed, “first cold pressed,” and is ready to bottle! From the tree to the stone, My Olive Tree, Northern Israel 100% Extra Virgin Olive Oil is harvested from Israel’s finest groves and is cold pressed, producing a rich, full-bodied flavor that is sure to enhance a variety of dishes!